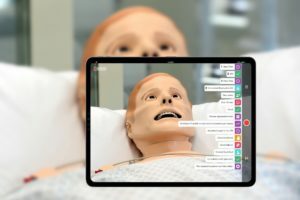 Check out the latest version of ADAM-X from Medical-X, a high-fidelity patient simulator which we’ve been told has “the highest standard of realism in form and function, designed to take training to another level!” Adam-X can be used wireless and tetherless, in the hospital, on-the-go and in an outside setting. 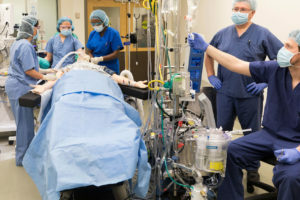 The scenarios and stand-alone procedure practices are immersive and easy-to-use. 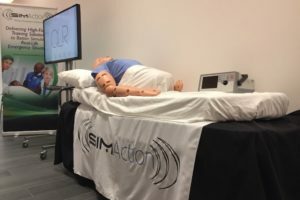 Through its realism in looks and feels, vital signs, interactivity, procedural and scenario training, the Adam-X can and will be treated as an actual patient. 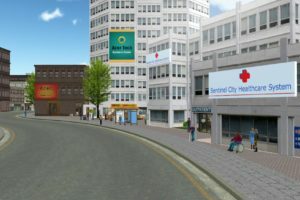 Providing doctors and nurses, all (para-)medical staff, access to a true learning experience.  Realistic anatomy: ADAM-X is a reproduction of a skeletal and anatomical structure of a human with distinctive characteristics and features. It is human-sized, and has a very realistic skin. 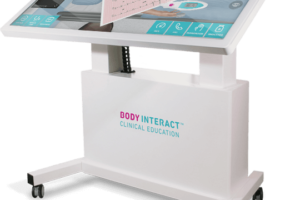 ADAM-X has automatic blinking depending on physiological status, as well as a physiological reaction of the pupils to light and to touch. The teeth are replaceable and the tongue of the ADAM-X can swell. 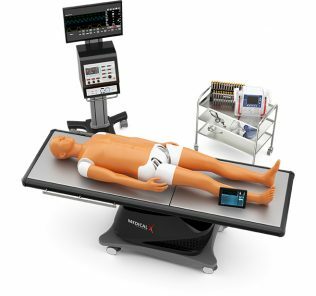 Training: The ADAM-X is ideal for ALS training, scenario training and medical treatment training. 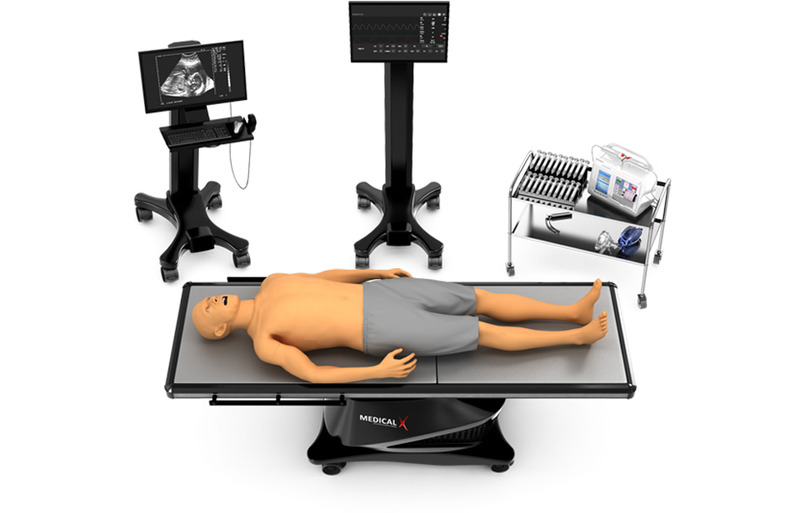 Because the ADAM-X is completely wireless and tetherless, and has realistic human proportions, it is very portable and ideal for on-site training. During CPR training, the accuracy of the hand placement is tracked, as well as the depth and rate of compression. Sounds: ADAM-X has a wide variety of sounds. Auscultation is possible with 8 points of breath sounds, 5 points of heart sounds and 14 points of lung sounds on the front of the mannequin, with the possibility of an independent set of options of the sounds in 4 areas. There is also the possibility of auscultation on the back of the mannequin. Breath sounds are independent and are related to ventilation of each lung. 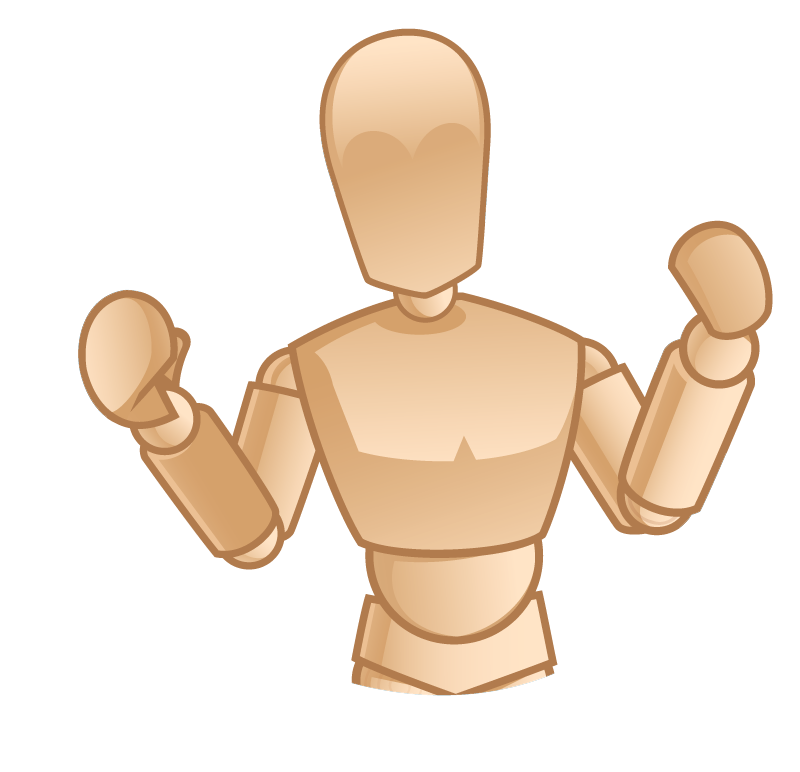 ADAM-X has speech, and can say “yes”, “no” and some some interjections. Also featured are guttural and coughing sounds. Cardiovascular system: The ADAM-X has a bilaterally palpable pulse on the carotid artery, the femoral artery, the radial artery, the dorsal artery of the foot, the popliteal artery and the posterior tibialis. Pulmonology: ADAM-X has a very realistic respiratory tract. It has fully independent right and left lungs, and ventilation of the lung automatically leads to the appropriate sounds of breathing, chest excursion and pulmonary gas exchange. The occurrence of apnea or hypoventilation, along with the low fraction of oxygen in the inspired gas mixture, lead to corresponding physiological changes: the hypercapnia, the hypoxemia, the decrease of the SpO2 and the tachycardia. Ventilation of the lungs at a positive pressure or spontaneous ventilation restoration returns ADAM-X to the breath with an appropriate amount of respiratory rate. ADAM-X also features chest flotation, and the resistance of the airway changes accordingly. Learn more on the ADAM-X Website today!